Coopers Brewery is celebrating with the release of its limited edition 2015 Extra Strong Vintage Ale. The 2015 Vintage is the 15th in the highly collectable and celebrated series and was launched nationally today (Tuesday 7th July) at three special events in Adelaide, Sydney and Melbourne. “The philosophy behind the 2015 Extra Strong Ale, as with previous vintages, was to ensure it was brewed with rich and intense flavours,” Coopers’ Managing Director and Chief Brewer Dr Tim Cooper said. “Five hop varieties have been carefully combined to become the feature of this year’s Vintage Ale. “Melba hop is the driving variety. Developed by the master hop breeder of Ellerslie Hop Estate in Victoria, Melba provides stone fruit and citrus undertones. Dr Cooper said this year’s Vintage had a noticeable increase in bitterness, which fused and enriched the other hop flavours to leave a smooth and lingering after-taste. “The higher bitterness also assists in the longevity of the brew,” he said. The alcohol content remains at 7.5% alcohol by volume, retaining Vintage Ale’s title as the strongest beer brewed by Coopers and one of the stronger beers produced in the world. 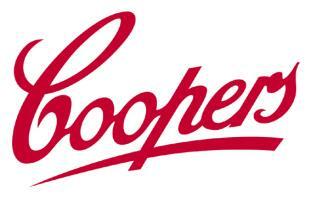 Coopers National Sales and Marketing Director Mr Cam Pearce said this year’s production of Vintage Ale would be limited and sought after. Dr Cooper said this year’s Vintage would suit most hearty winter meals of lamb, pork or beef, but would make the perfect accompaniment to a Sunday roast. Coopers Extra Strong Vintage Ale was first released in 1998, with further vintages in 1999, 2000, 2002, 2004, and every year since 2006. The Ale can be consumed immediately while flavours are fresh, or stored in cool conditions for tastings after six to 12 months of maturation. The 2015 Vintage Ale is priced from around $85 per carton, or around $28 per six pack of 355ml bottles.